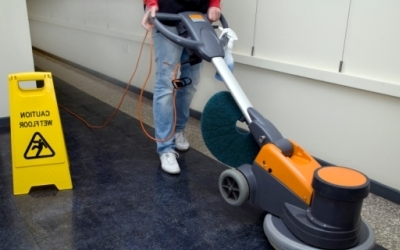 Looking for a company which has the right cleaning staff, equipment and supplies to keep your individual office or an entire office building looking as clean as possible, but also has the resources, dedicated crews, committed janitorial staff and most importantly the know-how to tackle the cleaning job? Our office cleaning professionals can clean any size job from small executive suites all the way up to commercial buildings. We clean all sorts of facilities financial institutions, professional buildings, medical offices and much more. At Crystal Cleaning of Ohio we strive to be a positive part of your bottom line. We have expertise in handling the janitorial cleaning needs of medical offices across Ohio – from concerns about disinfection, nosocomial infections, MRSA, and cross-contamination to more general concerns about the office’s cleanliness. The specialized equipment and the extensive training of Crystal cleaning of Ohio give you confidence that the services meet your expectations. We can prepare a customized cleaning maintenance schedule to best suit your business needs and budget the end result being a cleaner, healthier and aesthetically pleasing environment. We offer weekly, monthly, semi-annual, and annual contracts. There is no one-size-fits-all approach to office cleaning, each situation is unique, so contact us to talk about how we can help you find a service plan that fits your needs. You will appreciate our attention to detail and our cost effective office cleaning techniques. Your physicians, care givers and patients expect that your entire facility is clean, and free of dust, direct, and bacteria. That’s why it’s important your janitorial service provider follows a set routine for keeping your offices clean and healthy. Your customers expect a clean and healthy space to exercise in. That’s why your janitorial service provider has to accommodate challenging schedules and consistently furnish the services needed to keep your fitness center in great shape. Crystal Cleaning of Ohio can clean any kind of warehouse, factory or industrial site. Protect your employees' health and comply with work environment regulations and inspection guidelines.